How much do we know about the new 5p charge on plastic bags? Unless you’ve managed to steer clear of the shops and mainstream media over the last few weeks, you’ll have heard about the introduction of compulsory 5p charges on plastic carrier bags. It’s a move that some see as forward thinking while others feel doesn’t go far enough. One thing that is clear is there is still a certain amount of confusion about why these new charges have been brought in, what effect it will have on packaging and retail, and where all those 5ps will be going. WHAT IS THE PUBLIC UNDERSTANDING? You can explore these issues in our fact-file article but for now, we decided that we’d find out exactly how much people knew about this new charge and whether they would force a change in their shopping habits. So, armed with three questions, we headed into Milton Keynes and tested the Great British public on all things plastic bags. First of all, we asked: Have you shopped differently since the charges were introduced? 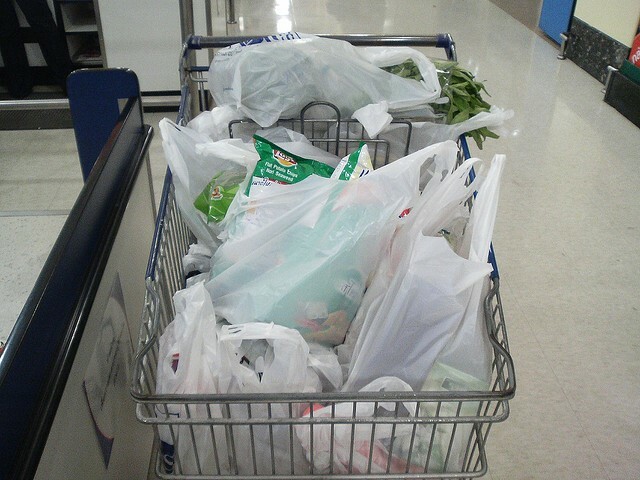 Peter, 50– ‘Well we’ve got a boot load of reusable bags, so tend to use these for our weekly groceries’. For many people, where the 5p goes this is an important factor in whether they chose to continue using carrier bags or not. 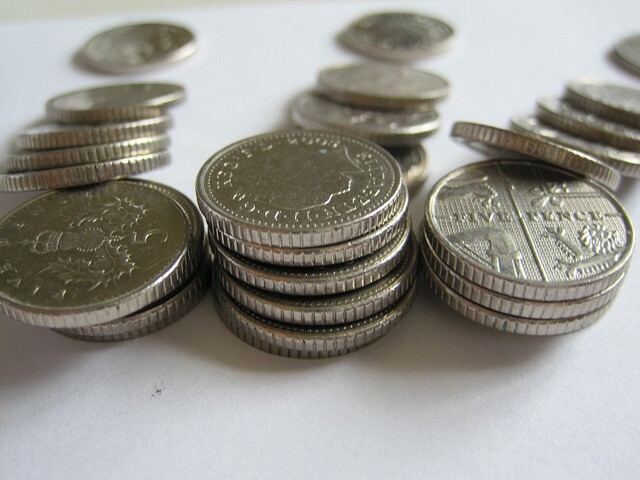 If shoppers think the money is going to charity, they may be more likely to hand over their 5ps than they would if it was going to the shops themselves. Therefore, our second question was: What do you think the 5p charge goes towards? Natasha, 23- Tax. I had this confirmed by a staff member of a national supermarket chain yesterday. They say it will go to charity but really the charities only get a few per cent (she said around 3%) and the government gets the rest. If it was all going to charity, or the vast majority I would just buy them and carry on as normal. In actual fact, the money generated from these new 5p charges goes direct to the supermarket. It is not a tax and the government do not get any of the money. The retailers are encouraged to give the money to charity but this is not, as yet, regulated. It appears, from Natasha’s answer, that even those applying these charges at store level aren’t completely clear on where the money is going. There must be more clarity on this subject before consumers start to lose their trust. IS ANYTHING EXEMPT FROM THE CHARGE? Finally, we surveyed all the people that took part in our questionnaire. According to the new guidelines, there are still some items that can be packed in plastic bags without incurring the 5p charge. We asked those taking part in the interview: Can you name any of the items exempt from the charge? Most people could name at least one item, but it is noticeable that the percentages for each answer are so low. Are people going to change their behaviour if they don’t know the ins and outs of the new rules? HOW CAN RETAILERS INFORM CONSUMERS, BUILD TRUST AND PROTECT THE ENVIRONMENT? If this is an activity encouraging customers to move away from their reliance on plastic carrier bags, part of the push must come from the retailers. They have a responsibility to play a part in making shopping without single-use plastic carriers as practical as possible, because it was the supermarkets who introduced plastic carrier bags into common usage. There are ways they can do this without implementing major changes. Reminders in car-parks for customers to bring their bag for life into store and more publicity and transparency on where the 5p goes are starting points. However, the long term strategy that must be put in place is to change the shopping behaviour of customers. Part of this strategy should be to replace plastics with more recyclable or bio-degradable materials such as paper. Carrier bags are a practicality that we don’t need to give up, we just need to change the type we’re using. For more information on when you will have to pay for a bag and the implications of this new charge, can be read in our in-depth fact-file. This entry was posted in Packaging Industry News on October 30, 2015 by Rajapack. Around 7.6 billion plastic carrier bags are used in England every year; a number that has risen by about 200 million year on year. That suggests that on average we all use about 11 plastic bags per month (bearing in mind that there is a large percentage of the country who are not old enough to shop or who use bags for life on a regular basis). We have come to rely on carrier bags for many of the tasks in our everyday life, not just shopping. How many of our children take their PE kit to school in a plastic carrier? Or how many people use them to bag excess rubbish that won’t fit in the black bin bag? 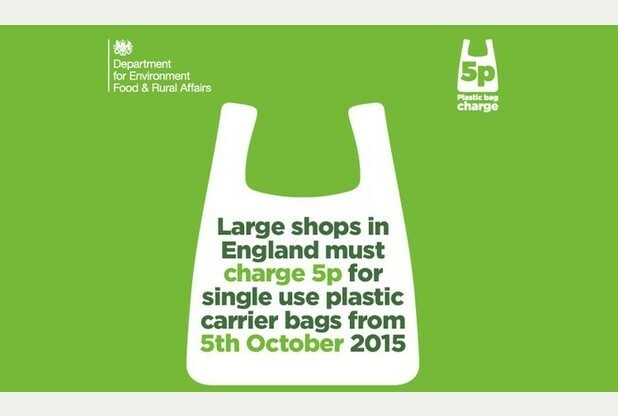 Because of this, the impact that the new 5p charge on carrier bags will have could well be significant. We’ve taken a look at the facts and figures surrounding the new charges; why they’ve been introduced and the potential impact they will have on retail, the packaging industry and the money in our pockets. Our findings should give you a much better starting point from which you can make the decision, as an individual or a business, on whether plastic carrier bags have a future in your retail experience. 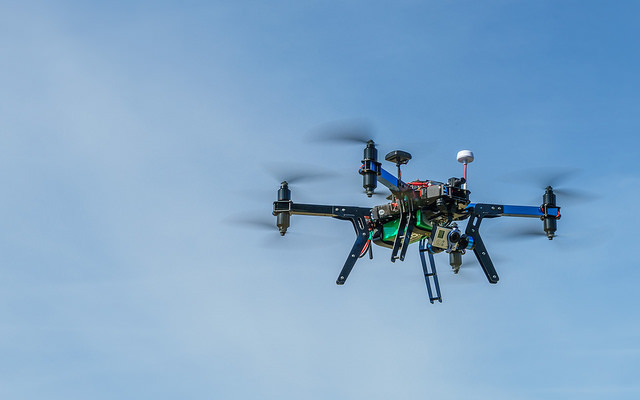 What impact will this have on the environment? 800,000 tonnes of plastic carrier bags are created every year but only 6% of this is thought to be recycled. That means that 752,000 tonnes of plastic is either being thrown away or left sitting in cupboards or car boots. Those bags that are thrown away can be a serious hazard to the environment and wildlife. It takes 1000 years for the average plastic bag to decompose, in which time it could have been eaten by, or suffocated an innocent animal. It costs the UK government £10 million per year just to clean up plastic carrier bags. 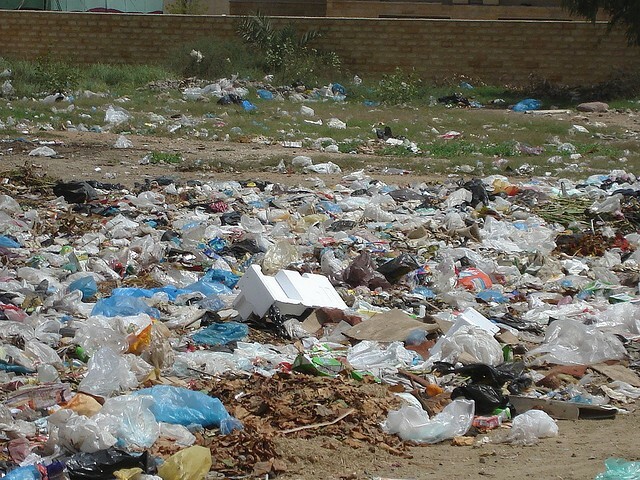 A reduction in the use of plastic bags could save significant amounts of money for the government and also clean up our streets, green belt and coastline. Where do all the 5ps go? Contrary to some thinking, the 5p charge is not a government tax. The legislation has been introduced to reduce the number of bags being used but the government will not directly benefit from the proceeds. Essentially, plastic bags are now a purchasable commodity just like other items you buy at the shop. The government will only benefit from the new 5p charge in the sense that the sale of bags, which is now 5p per bag, will merit sales tax like any other product. The after-tax profits from the bags, will go direct to the retailer. They are expected to distribute the profit, minus reasonable costs (such as money spent on installing extra stages in self check out processes) to good causes. There are guidelines on what a good cause may be, but it is ultimately up to the retailer to decide. Will I have to pay to bag everything? The 5p charge for bags may seem wide-ranging, but in actual fact, a very exact criteria has to be met before the charge can be applied. The charge only applies to un-used, single use plastic carrier bags that have handles. That means that all paper bags, such as the ones that we provide through our Rajaprint Bags online tool, are exempt. It also doesn’t apply to any bag that has already been used so technically, if a carrier bag was used by another customer to return a faulty item to a shop, you would not have to pay to use that bag. The charge also doesn’t apply when you’re using bags to package certain products. The products that do not incur the charge are only exempt when bagged by themselves, i.e you cannot spread these products between your shopping bags to avoid all charges. There is also the matter of how large a shop or chain is. If the store or chain has 250 employees or less, they have no obligation to charge the 5p. In many ways, this may make SMEs such as such as corner shops more appealing. If people start to find it more practical shopping at their local independent grocer than they do at a chain express store like Tesco, the balance of power may start to shift. Is 5p enough to actually change anything? When a consumer spends £50 on their shopping, charging another 20p for 4 bags might go unnoticed. This has led many people to question whether 5p is enough to genuinely change shopping habits and attitudes towards plastic bags. The reason why the charge is so small is because that is the value of a plastic bag. This is not a tax or a nominal fee; the government have ordered that plastic bags now be a chargeable commodity and it has been calculated that 5p is an appropriate value. The statistics show that people are actually far less likely to use (multiple) plastic bags when the charge is applied. Consumers in Wales have been subject to the charge for four years now and the plastic bag usage rate in the country has gone down by 71%. There have also been large percentage drops in Scotland (18%) and Northern Ireland (43%) since the charge was introduced in 2014 and 2013 respectively. What impact will this have on business? There has already been some backlash on social media from customers who feel they are now paying to advertise the retailer’s brands. A select few have even made calls for people to turn their carrier bags inside out as a form of protest. However, the major change for business will come in the need to find more practical ways for shoppers to take their goods away from the shop. Carrying multiple loose items or cramming everything into one bag is surely just a stop gap approach. It is important that companies now explore alternative baggage solutions. Bags for life are the immediate answer, but with many people forgetting their bag for life and purchasing a new one with each shopping experience, the problem is not being solved. 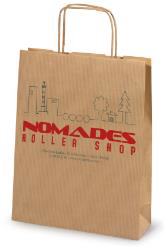 Paper bags and bags of other, more environmentally friendly materials must now be the answer for businesses who still value quality of customer experience as a matter of high importance. Is this the beginning of the end for plastic bags? To answer this question, we have to apply a certain amount of guess work. For a start, we do not know exactly how the English public’s habits will change due to the charge. If they follow the pattern of other countries, it is fair to assume that there will be a significant drop. This change isn’t necessarily bad news for the plastic bag industry. Remember that it is only ‘single use’ bags that are subject to the charge. There will now be a much larger market for the stronger ‘multi use’ bags (bag for life). 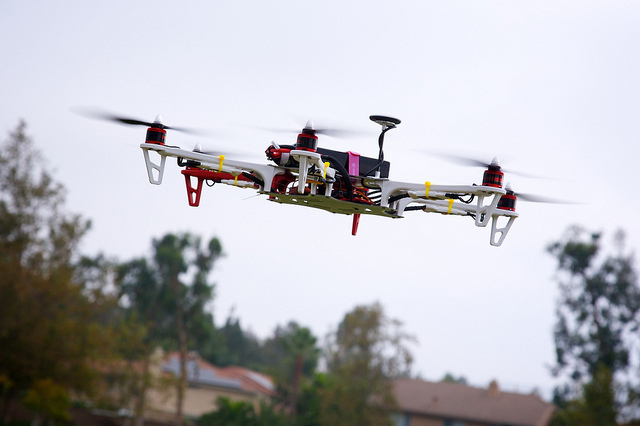 This entry was posted in Packaging Industry News on October 21, 2015 by Rajapack. A few weeks ago, we announced the launch of our brand new general catalogue for autumn –winter 2015/2016. It is accompanied by the launch of the Action Programme for Women & the Environment, an operation spanning all our European subsidiaries, which focuses on RAJA’s three core values – collaboration, solidarity, innovation. The catalogue will include our latest innovative services and products such as our Rajaprint Bags customisation tool. 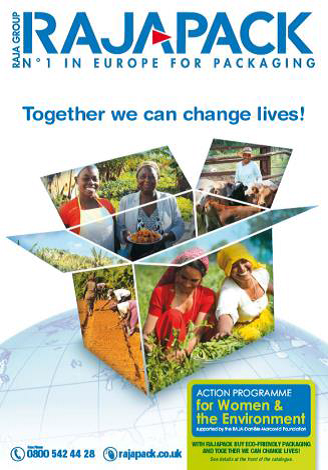 What is the Women & the Environment action programme and why are we supporting them? The Action Programme for Women & the Environment is a European scale operation including all of the Group’s 1,600 employees from September 2015 to February 2016. This action programme is true to RAJA’s values, involving its 500,000 customers. Indeed, as a long-time champion of environmental protection, RAJA has taken many initiatives to minimise its environmental footprint (95 % of its purchases are bought in Europe, and the RAJA Group has been certified ISO 14001 since 2011). Since 2006, the RAJA-Danièle Marcovici Foundation has helped women by supporting many projects in France and around the world. Within the framework of the 2015 Climate Change Conference, which is to take place in France this December, RAJA would like to reinforce its commitment by launching the Action Programme for Women & the Environment. RAJA has selected eco-friendly packaging products for this programme. These products are made from renewable resources (cardboard or paper) or composed of recycled materials. Once used, they may be recycled again and give life to new products. For every purchase of a selected eco-friendly pack, RAJA will donate €1 or €2 (and £1 to £2 in the UK) to the RAJA –Danièle Marcovici Foundation to finance 5 projects aiming to support and promote the role women play in environmental protection around the world. The Foundation shall monitor the selected projects throughout the programme. How to take part in this programme? The RAJA Group has always placed highest priority on the satisfaction of each of its customers. Thus, the RAJA Group continues to break new grounds: with more than 10,000 different packaging products and equipment, the largest choice of products in Europe, RAJA provides products which are 100% adapted to the needs of each of its clients. RAJAPRINT responds to their need to customise and enables them to easily improve the impact of their brand. In e-commerce, packaging not only protects and secures products during transport but it is also the brand’s first contact with customers when they receive their order. Today packaging has become a key factor in customer satisfaction. When choosing your packaging not only factors like protection and convenience come into play, but image and presentation are also being taken in to account. Getting your package right in terms of design, branding and communication is critical for E-merchants to build a successful internet business. As a specialist in packaging, RAJA is best positioned to understand its customers’ specific requirements. If you would like any more information on our new catalogue or the Women & the Environment action programme, call us today on 0800 542 44 28. This entry was posted in Packaging Industry News and tagged Environmental packaging on October 16, 2015 by Rajapack.